What’s the Least Money you can Survive with on Koh Phangan? 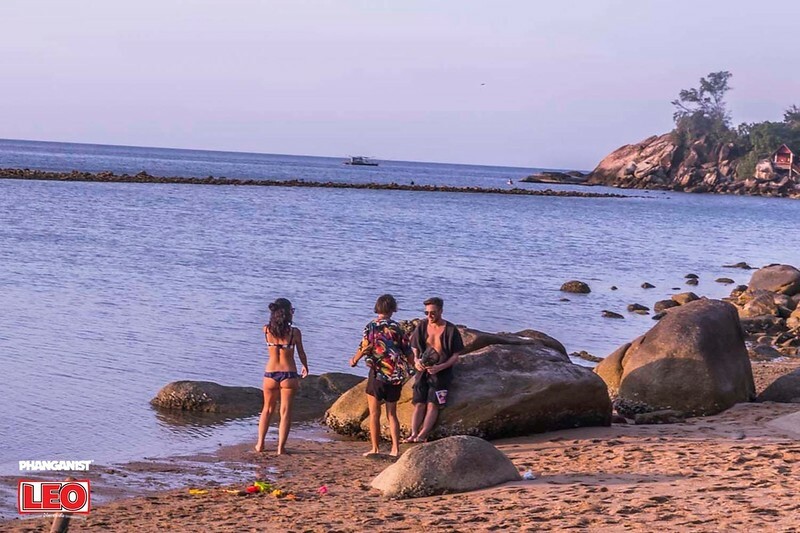 Koh Phangan is now a very diverse island, with its famous Full Moon party in Haad Rin once a month, the other parties in South, Yoga in the West, Diving in Haad Yao and High Class Tourism in the North and North East it is not just backpackers that visit the island anymore. 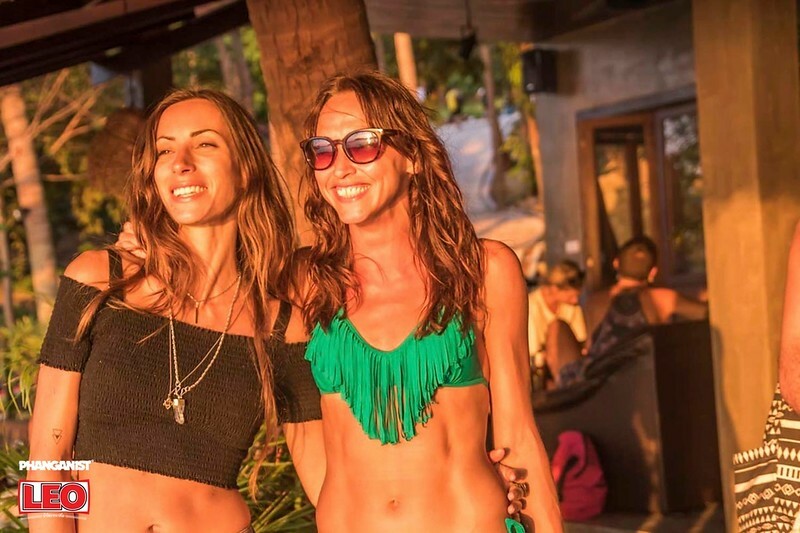 So now with the island becoming popular for things such as luxury resort escapes, yoga schools and watersports it attracts people who have a bit more cash in their wallets. These things cost money of course and although they are less expensive than in Europe or America for example a months yoga course on average would cost 13,000 Baht. So what if you want to come and enjoy Koh Phangan but are on a really tight budget? It can be done and we are here to help you make the most out of your stay and to experiment with how little money you could live off for a while here. When coming to Asia you need to remember that in fact it’s the flights that are the big money burner, when you are here it is much cheaper than in your home Country so be thankful for that. You can choose to start off with the cheap options even before you get to Koh Phangan by travelling by bus or train down to Surat Thani and getting the ferry over rather than flying to Samui which as it is just one airline is rather phaeng (expensive in Thai). Now once you are here you need somewhere to stay, ideally you want something that costs you nothing but we don’t advise sleeping on the beach! For this article let’s say you are staying for one month, this is enough time to really experience the island, be a tourist yet fall into island life a little before you go. If you already know someone on the island then maybe you can stay with them and offer to clean their place in exchange for your stay. Another thing you can do is volunteer somewhere in exchange for accommodation, registering on Workaway website is a good idea for this, you can organise your volunteering before you get here. If none of this applies or is available then you need the cheapest place to stay possible and we all know what that is; hostels! During times outside of Full Moon beds at hostels can get super cheap, especially in low season. On average you are looking at 250 Baht per night so let’s make that 7500 Baht for your place to stay for 30 days. Next up you need to survive, be alive, and that means food and drink! Although Koh Phangan is a little more expensive than mainland Thailand you can still find many good 50 Baht Thai restaurants and we have the wonderful Thong Sala Pantip food market too! If you want to go even cheaper then make your own food! There are lots of fresh markets and supermarkets for you to pick up ingredients. If you are staying somewhere with a kitchen then that is the perfect solution but in a lot of hostels here there will not be a communal kitchen so you will have to use your skills and imagination! Buy some bread and salad and make sandwiches or ask for hot water for noodles and add raw vegetables for nutrients. Thinking about breakfast, lunch and dinner every day we reckon you can feed and water yourself for 100 Baht per day. Taking us up to 10,500 Baht so far. Whilst we are on the subject though this doesn’t factor in drinking alcohol. Alcohol is where a lot of your budget can get sucked up as like anywhere else but who needs drink to have fun?! 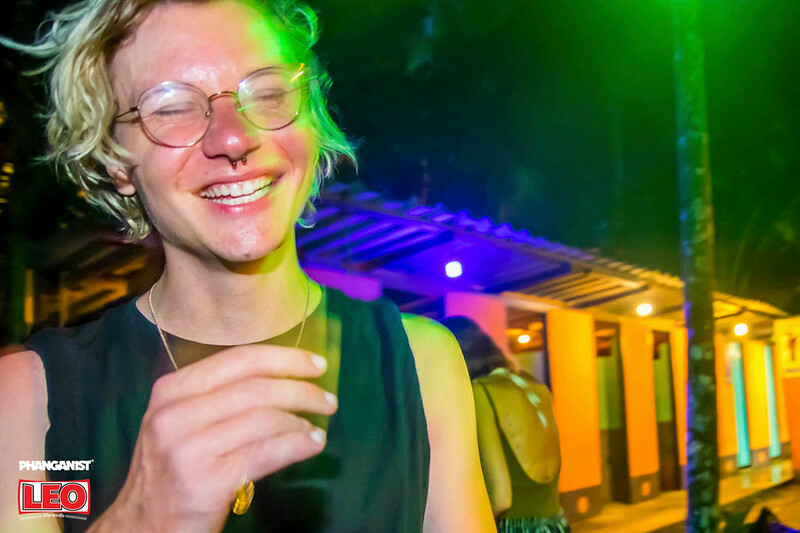 The music is good at parties so much so that you will find yourself dancing anyway and if you are truly determined to experience Koh Phangan for one month on the strictest budget ever then you’ll have no problem not partaking in the drinking games (plus your head and health will thank you!). Travel and transport are next. Whilst here for one month you will want to go around and see the beautiful island. In fact a lot of the island’s charm is that some of the most amazing things to do are free (waterfalls, jungle, beaches, nature, treks etc) and so you want to take advantage of this, yet, you need to be able to get to them. Most people chose to rent a motorbike which can cost 250 Baht per day or you can get deals for the month, but this is still a big cost. Why not just rent a motorbike once a week for an island tour and stay local the rest of the time? If you need to go somewhere where drinking is involved then get a taxi for 100 Baht each way, otherwise you can walk to local shops and restaurants no problem. Let’s say that you can live on one day per week scooter rental; 1000 Baht per month and allow a little extra for taxis; 1000 per month, this takes us to 12,500 Baht. You have your accomodation sorted, your food and drink and your transport...you are pretty much ready to go! There are lots of free things to do here, walk to the beach, Swim in the sea, Visit local landmarks & Nature, Yoga on the beach, walk round the markets, Play Games with friends, Share skills with people or volunteer with Phangan Animal Care for Strays. 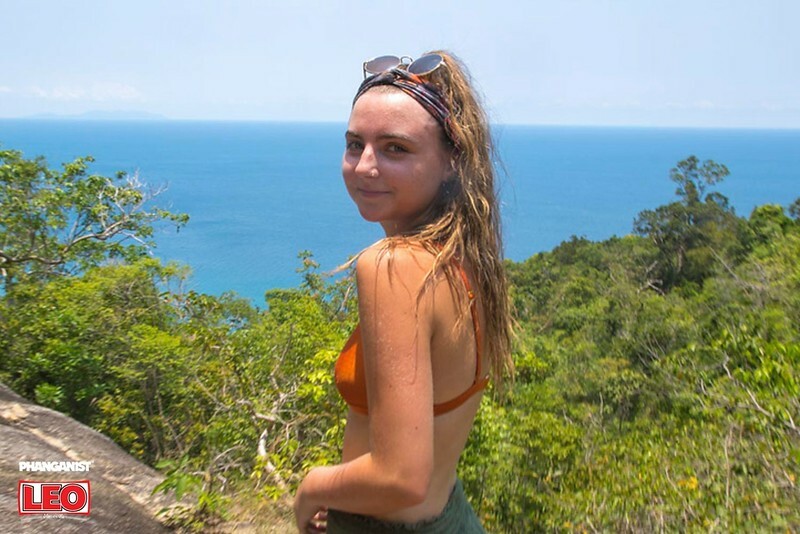 Just because you’re on a low budget does not mean you have to miss out and actually the beauty of Koh Phangan is that is is beautiful in itself and so as long as you don’t mind a bit of walking or physical activity you can hike up to viewpoints or immerse yourself in nature’s waterfalls whilst here. You can still enjoy social activities on a low budget, grab some beers from the shop which is cheaper than a bar and head down to your own lovely hang out on the beach with friends, you can even get cheap food and snacks from the food market to take with you! You can visit temples for free, some within walking distance of the main hostels in Baan Tai and Thong Sala and some within a short drive if you are hiring a scooter, here you can learn about Buddhist culture which is deeply rooted in Thailand. Everyone’s favourite past time here is free also, sunset. Experience some unforgettable breathtaking sky, sun and cloud shows you will ever see. You may also meet lots of people with different talents and skills which you can share and swap rather than having to pay for them. Lots of visitors can do yoga, massage and arts and crafts so find a skill you can swap for something you want to learn in return! Let’s be reasonable and allow a little extra for emergencies or treats… you are on holiday after all! 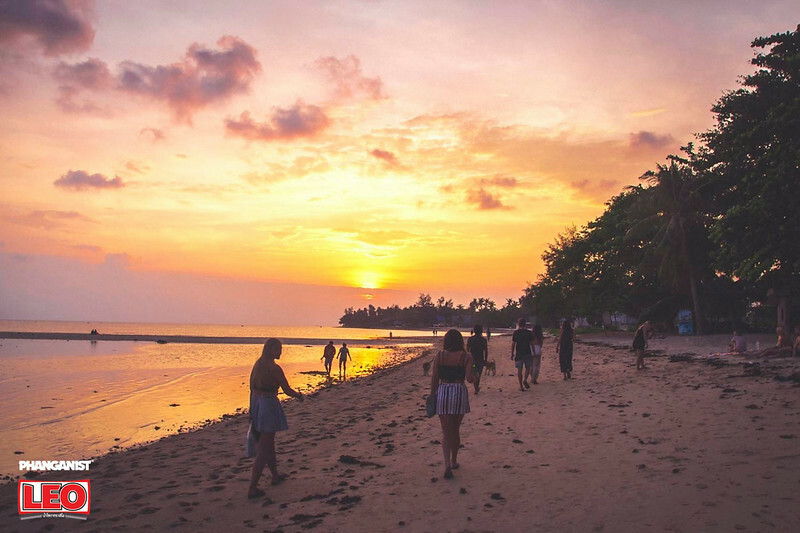 In conclusion we reckon you can survive on Koh Phangan for 30 days for 13,500 Baht! That is 360 Euros, 420 US Dollars or 315 British Pounds. And for that money, following our advice, you’ll have the time of your life, we promise.